If you are like me you wait to the last-minute to do pretty much everything. In case you are having a Superbowl party and you need a few football themed snack ideas I have two relatively easy cute recipes. Deviled eggs remind me of my grandmother. She always made them for parties. This is such a great idea and so easy. Boil the eggs. Cool and peel the boiled eggs. Cut in half long ways. Scoop the yolks into a bowl and place the whites on a serving platter. Crush the yolks and add mayonnaise. Grandma used Miracle Whip which is what I use too. However, I know that’s a hot topic and I wouldn’t dare tell you that one is better than the other. Whichever you prefer is the way to go. If you are making a dozen eggs I would use about half a cup of mayonnaise/ Miracle Whip. But you can mix it to taste depending on how you like it. Add salt and pepper. Spoon the yolk into the egg white halves. If you have a pastry bag you can put the yolk mixture in the bag and squeeze the yolk mixture into the egg halves, but a spoon works just as well. Finally place cut chives over the yolk mixture to look like the laces of a football. 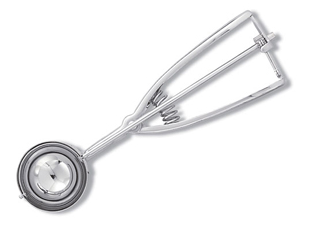 A perfect hors d’oeuvres for Superbowl. A football twist on a typical fruit platter. This one can be a little tricky depending on how crafty you are with a knife. Since my jack O’ lanterns at Halloween look like a toddler did them I call on my husband for any carving. Get a round shaped watermelon. Carve the watermelon out. The best tool I have found for carving out Watermelon is the Pampered Chef scoop. It makes it so easy. If you don’t have one you can use a knife to cut the pieces out instead. Still works just not as easy. 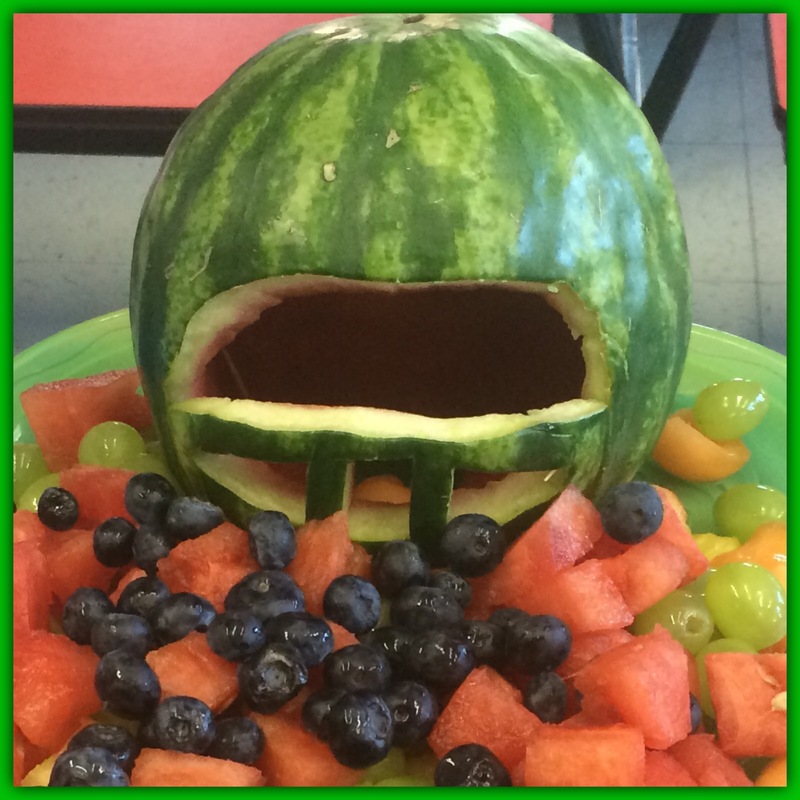 Turn the watermelon upside down and carve a football helmet on the face. Add the fruit and you have a fabulous football fruit platter. Thank you to my co-worker Terri who gave me both these recipe ideas. 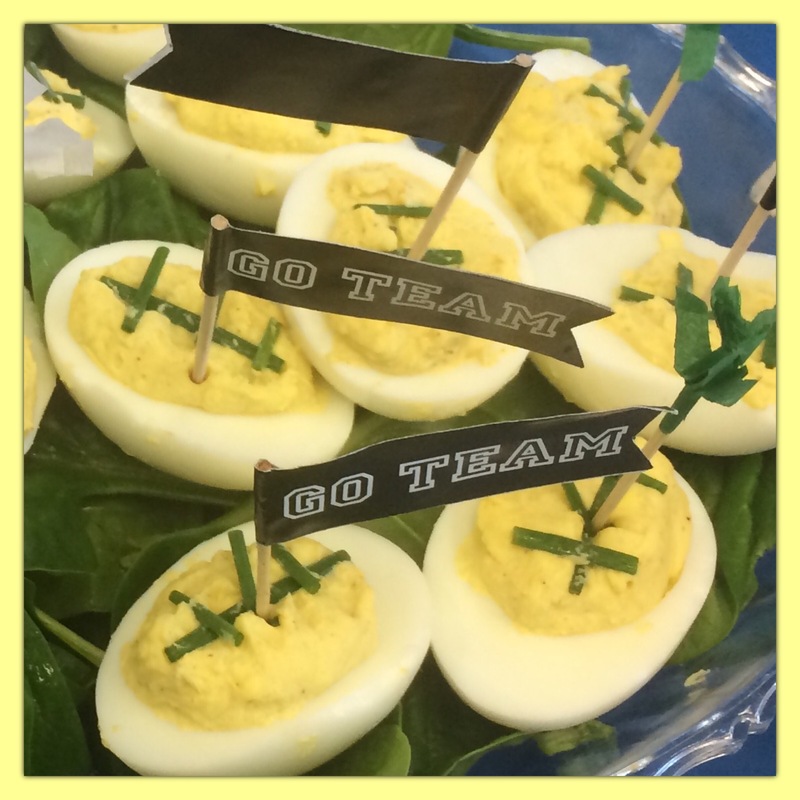 This entry was posted in Food & Snacks, Life and tagged Boiled egg, Deviled egg, Egg white, Egg yolk, Football-themed snacks, Pastry bag, recipes, Super Bowl, Toast. Bookmark the permalink.